LIKE all political earthquakes, Brexit is proving to be a great leveller. When the pressure is on, when the political landscape is ablaze, we see where governments’ priorities really lie. And when it comes to the UK leaving the EU, Northern Ireland is at the bottom of a very long list of concerns. London is fixated with its own economic and political future - the Tories are ditching fiscal tenets of faith and pushing failed leaders off the stage. Scotland’s pro-EU electorate is considering its options. Europe is gripped by the risk of regional instability, while others fear Brexit could see a ripple effect on global affairs. It was in this climate that the controversial notion of Irish unity was raised by the usually cautious Enda Kenny. Speaking at the annual MacGill Summer School this week in Donegal, the Taoiseach merely suggested that the EU should plan for a scenario "however far out it might be", that Northern Ireland may vote to "join the Republic", perhaps "10, 15, 20 years" from now. But despite the heavy caveats, his remarks still sparked controversy. Unionists should rest assured, however, that Fine Gael – and Fianna Fáil for that matter – are not really talking about Irish unity. They show no active interest in it. We know that's the case because they’re still talking about a form of Irish unity that envisages a 32 county Irish republic – and they know it isn’t on the cards. It's bar-room sing-along stuff. Many Irish nationalists in Northern Ireland wouldn’t even see that as a workable option as things stand, given fears that it would drag unionists and loyalists into an Irish state to which they would have about as much loyalty as nationalists have to the UK. Sinn Féin isn’t even calling for that vision. As revealed by The Detail, here, it is effectively arguing to retain the Northern Ireland state inside an all-Ireland framework, where Stormont would report to Dublin rather than London. Perhaps it is really aiming for joint sovereignty between London and Dublin over Northern Ireland – a two flags solution? Maybe unionist parties should be doing some forward planning of their own, given the erosion of Northern Ireland’s in-built unionist majority? But – we can park all that - we don’t need to get lost in the labyrinthine strategising of political parties. For now, all that matters is that despite the media noise over Enda Kenny’s remarks, the last thing on his mind was Irish unity. He’s talking about Brexit and how to get the best deal for both parts of this island. Mr Kenny’s intervention came after DUP leader Arlene Foster publicly snubbed his proposal for an all-Ireland forum to discuss the implications of Brexit. Was Enda's soundbite on Irish unity partially aimed at getting his own back on Arlene? Hardly likely, but perhaps it was a fringe benefit for some in his camp. It appears instead that he wants to ensure other European Union leaders appreciate the complex needs of the island of Ireland before they begin to construct a new EU. He is operating as the head of a sovereign government, playing on a much bigger pitch than the one where Stormont has its kickabout. And since the new Prime Minister Theresa May is sending mixed signals on the level of input she’ll allow the devolved governments in the UK, Enda Kenny is the only leader so far offering Northern Ireland a special place in the pre-Brexit planning. He is offering to help. Given what is at stake, is it wise to rebuke him? Trade between the Republic of Ireland and the UK is measured in the billions, but Brexit could force an estimated 20% drop. Northern Ireland relies on the all-island electricity market to make up for insufficient local electricity generation capacity. The EU has earmarked 3.5billion euros for Northern Ireland for 2014-20 – which is only one element of the funding at stake. More than 38,000 farmers and rural projects rely on EU support – money which trickles down into other businesses. 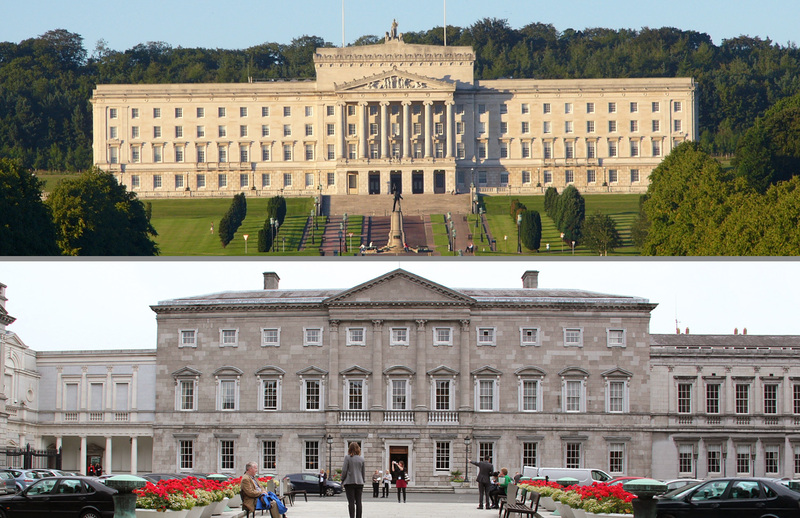 Stormont’s big idea for economic growth was cutting Corporation Tax, but now that’s under threat too. 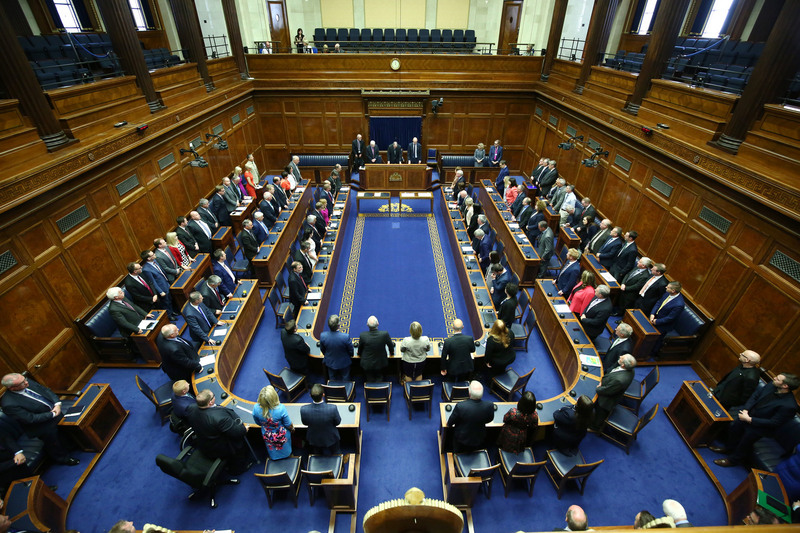 So what is Stormont’s plan for Brexit? At a time when Northern Ireland is shown to have the poorest performing economy of the UK’s 12 regions, Stormont’s DUP Economy Minister predicts it could now become a “world economic powerhouse”. Sinn Féin argues instead that the economic future can only be secured inside the EU, but then the party rattles unionists by reaching for the blunt instrument of a border poll. The fact that a majority in Northern Ireland voted to remain in the European Union highlights the importance of the issue. But when will we have a real debate? SEE also: Brexit concerns among nationalists and unionists.